Let’s be honest. The idea of taking a toddler to the beach can be a slightly daunting prospect. In fact, taking your toddler anywhere can sometimes feel like a military operation. But there’s no use in coming all the way to a beautiful seaside town only to stay in your family holiday home! Going to the beach with toddlers IS possible, it just takes a little more planning. 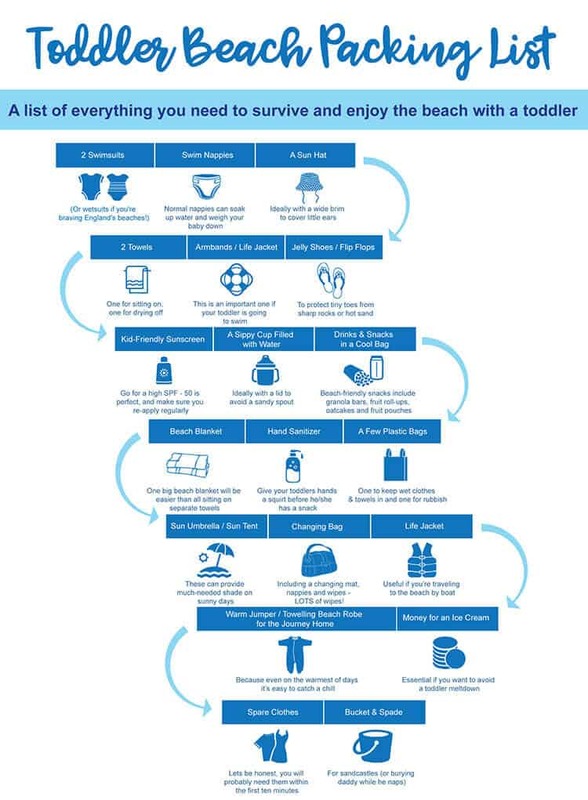 Luckily we’ve created an easy toddler beach packing list to ensure your day at the beach goes as smoothly as possible. Including a changing mat, nappies and wipes – LOTS of wipes! That’s it! 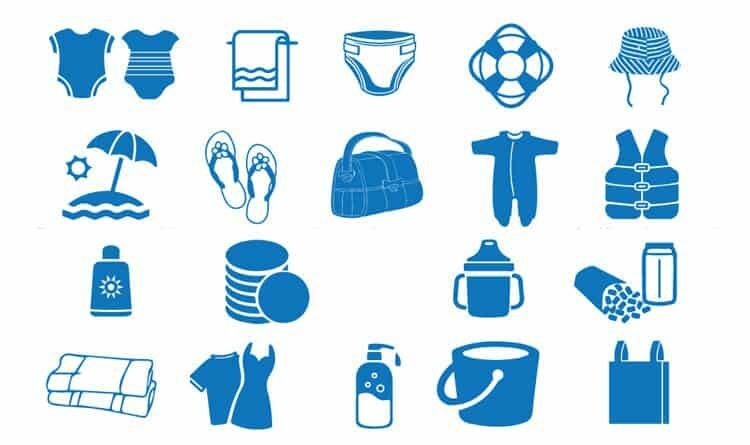 We hope our toddler beach packing list helps and you’ll be able to relax knowing that you’ve got all bases covered. It may be different from the ‘Magazines and Factor 15’ that were essentials before the little one came along, but it makes for even more fun. Once you’ve had your fill of the beach, make sure you check out our top 10 baby and toddler-friendly things to do in Salcombe.